I was sent a generous selection of Witch Skincare to try last year and I have been getting my fair use out of them. This Foaming Cleanser seemed to be never ending and lasted me for months. 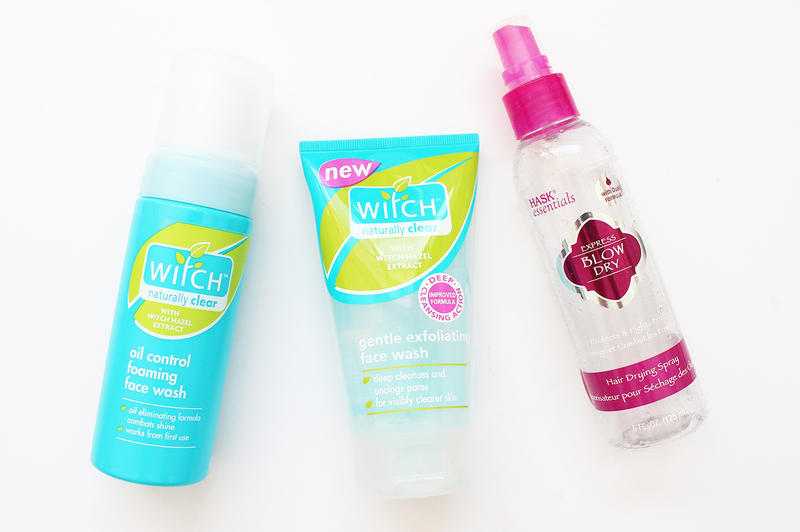 If you have oily skin or struggle with acne, this would be a good range to check out as it's aimed to help clear the skin and clean it thoroughly. 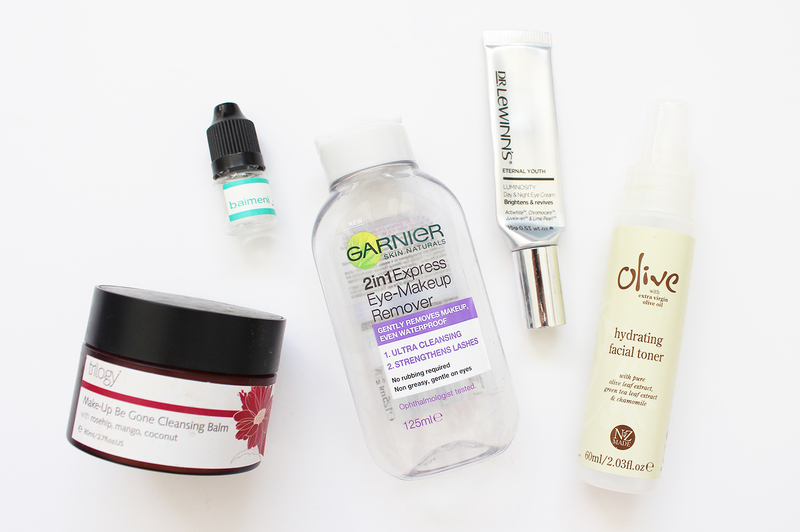 I found this worked really well to cleanse, but it wasn't too drying like some foaming cleansers can be. My boyfriend and I have been twinning; whilst I have been using the Foaming Wash, he has been using the Exfoliator and seemed to really like it. He doesn't have sensitive skin so most things do the job for him, and this one cleaned his skin and he had no complaints. I think this is about the third bottle I have been through of this spray and I am already into my new one. It really does work to help dry the hair faster and aids in protecting from heat and defrizzing. 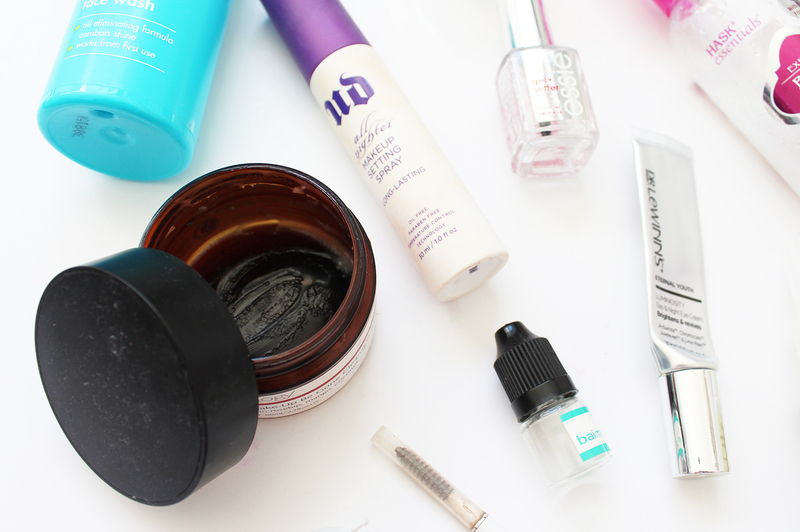 I will definitely be continuing to repurchase each time I go through a bottle. In the past, I have used a lot of cleansing oils and never used anything in a balm form until I tried this one from Trilogy. They consistently make such high-quality products and their Rosehip Oil is one of the brands cult favourites. This Cleansing Balm contains rosehip, mango and coconut, and I only needed to use a small bit (something a little larger than a pea) to successfully remove the bulk of my makeup. You apply it straight onto a dry face and work it in; it does take a little bit for the balm to melt into more of an oil consistency, I then use a warm wet face cloth to wipe it away and my skin is left pretty much makeup free. I always use another cleanser after as it can leave a little bit of oily residue behind. For travelling with and convenience I think this is a great product and if you like all natural skincare and are after something nourishing to remove your makeup with I would recommend this one. I received this tiny little sample in a Lust Have It box a while back but finally decided I should just use it. Baimeni are Australian based with a small selection of skincare items available. I got about 4 uses from it so not the best for reviewing the long-term effects, but from the few uses I did get, I found my skin really liked it. It had a light, almost water like consistency and sunk into the skin on contact. The serum promises to be hydrating and to plump the skin, but also help control excess oils. 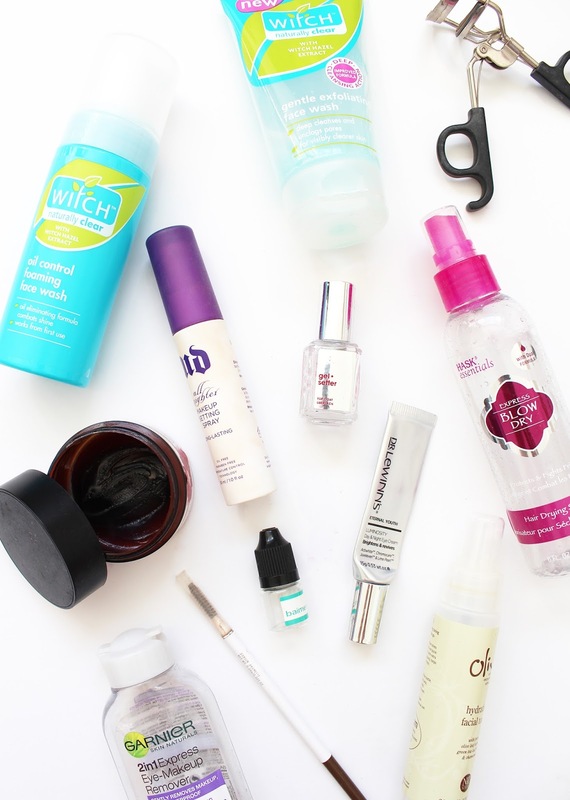 This is the first Empties post, maybe ever, that my beloved Maybelline Eye + Lip Remover hasn't been included. Well, I decided I should shop my stash and pulled this one out to use which I also really enjoy, but not quite as much as the Maybelline one (I think it does a better job at removing more stubborn eye makeup). This one is biphase so needs a shake up before use and breaks down mascara and eye makeup well without stingy or irritating. I do really like and it did last longer than one bottle of the Maybelline one due to the bigger size. I was sent three products from the Dr. Lewinns Luminosity range and I have already reviewed the Day + Night Cream (here) which I enjoyed using and this eye cream I was also impressed with. It had the same properties to it; I found it gave my under eyes a little bit more brightness and plumpness to them. The applicator I didn't really get on with, it has a metal tip that you used to rub the product but I found it didn't really work as well so I ended up dispensing onto my fingers and dabbing it in that way. It was an all round, really nice eye cream and I would consider purchasing it myself. It makes sense that the Simunovich Olive Estate located in the Bombay Hills just out of Auckland, NZ also produce a line of olive oil-based skincare and beauty products. They generously sent me so many products from their range to try (I was blown away with it) and I am slowly trying to get through them and try the different products out. I have just finished the Hydrating Facial Toner, a toning mist which can be sprayed onto the face to refresh and hydrate the skin. I really enjoyed using it, and to get a bit more from it I would spray onto a cotton round and then wipe onto the skin. The mist was fine and dried down into the skin quickly. I had been wanting to try this setting spray for so long and finally in November when Mecca Maxima opened in Christchurch I treated myself to this 30ml size bottle. It definitely lived up to the hype and I found it kept my makeup in place looking fresher for longer. The mist was one of the finest ones I have used, but I did get through it quite quickly as I would go pretty full on with it! I have since tried the Skindanavia one too, who actually produce this one for Urban Decay! I will definitely be buying it again and in the bigger bottle. This has been my go-to brow pencil for a while now, at first I didn't really get on with it as it is much softer than what I was used to, but it didn't take me long to get used to it and now I love it. I find it makes my brows look sharp and defined, you can also blend it through with the spoolie on the end and my brows stay in place all day with this. I have about four backups, no lie! 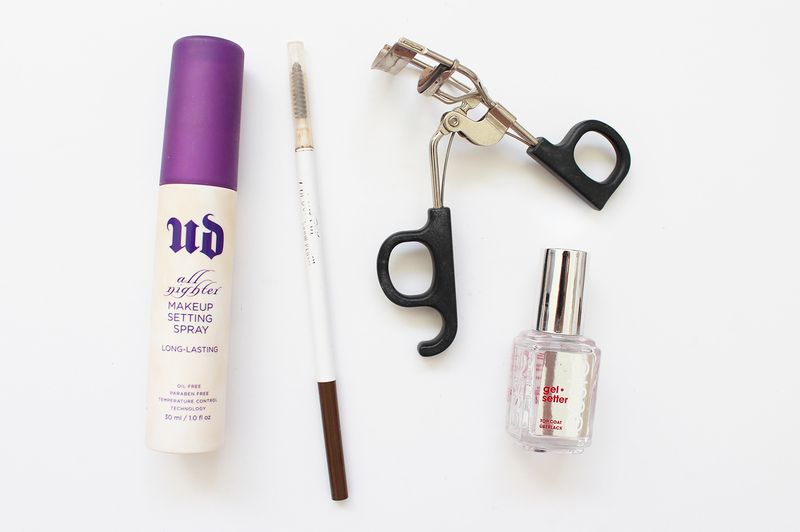 I recently received a gorgeous gold set of eyelash curlers from Lulu&Lipstick (see them here), and it made me realise how much I need to get rid of these ones! I really liked them though but I had completely worn through the plastic pad so they weren't doing a lot in the way of curling. You know you paint your nails often when you get through a top coat! This is a relatively new one from essie and is such a good top coat. It sets hard and gives the nails that super shiny, glossy look that you get from gels. It definitely prolongs the life of the polish and I have already bought a new one!